Compressed air is released during Skyhawk's morning testing. 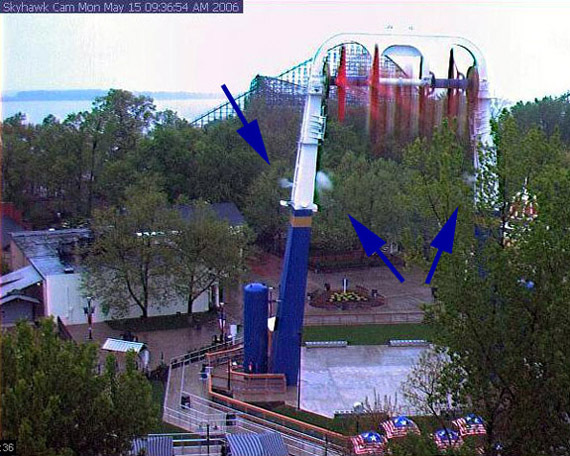 This picture was taken by Cedar Point's webcam on May 15, 2006, just days after it opened to the public. It was Skyhawk's inaugural season. Tomorrow, another great webcam moment.